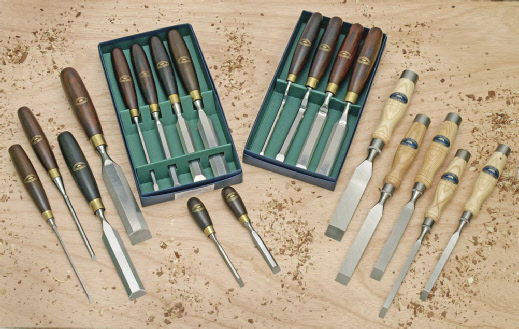 ﻿ Crown Hand Tools. Manufacturers of woodturning, woodworking and woodcarving tools. As a family owned company, Crown Hand Tools and our loyal staff have been proudly manufacturing traditional woodworking hand tools for over fifty years. Handmade to the finest quality, Crown has found the perfect equilibrium between tradition and innovation, making our tools beautiful as well as functional. Our Master Craftsmen hand forge, temper and grind our tools as our ancestors did, whilst also using modern processes and materials, such as Cryogenics and Powder Metallurgy. This combination of old and new techniques ensures we are giving our customers what we consider the best quality hand tools available. We do not use any information gathered by any cookies which may be present on our webiste, Should you prefer not to view our website, we will be happy to send you a brochure or any details of our products.